IMCDb.org: 1979 Mitsubishi Celeste [A70] in "I mavri Emmanouella, 1980"
agreed. Maybe called Mitsubishi Colt Celeste. Badged as a Mitsubishi. (look at what is written on the top of the Galant in the foreground!). We don't have another Mitsubishi Colt Celeste; Mitsubishi Lancer Celeste seems the other possibility (we have some already, plus wiki reference) but I prefer just Mitsubishi Celeste. 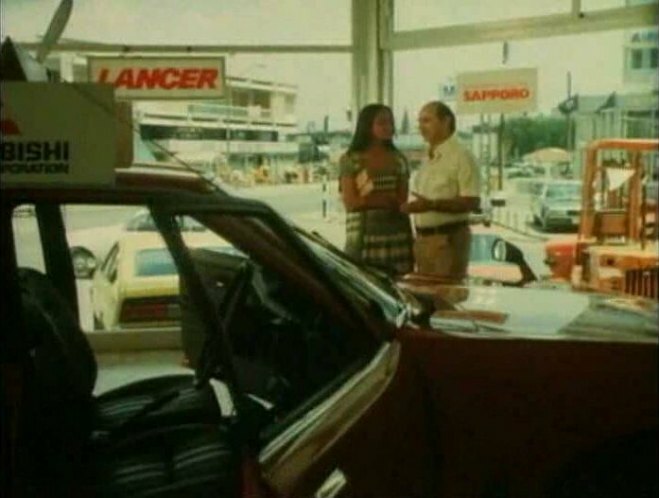 Probably a new 1979 model as filmed in a Mitsubishi showroom.